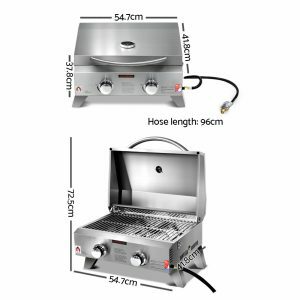 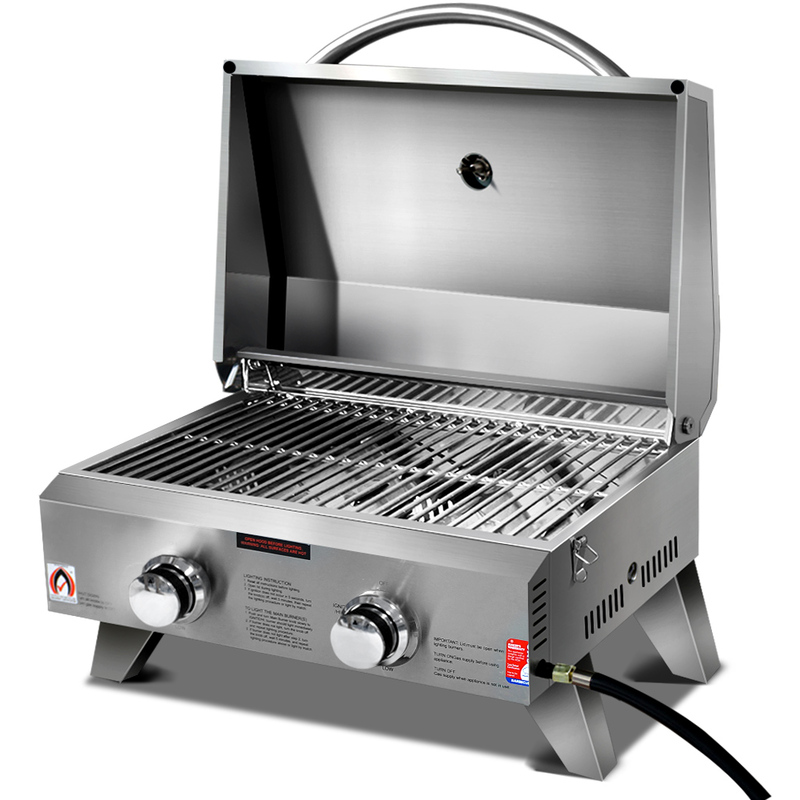 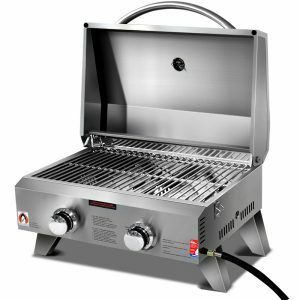 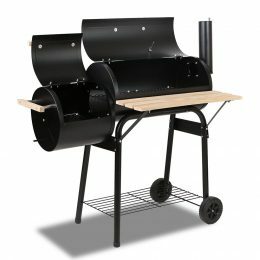 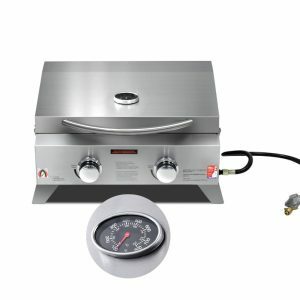 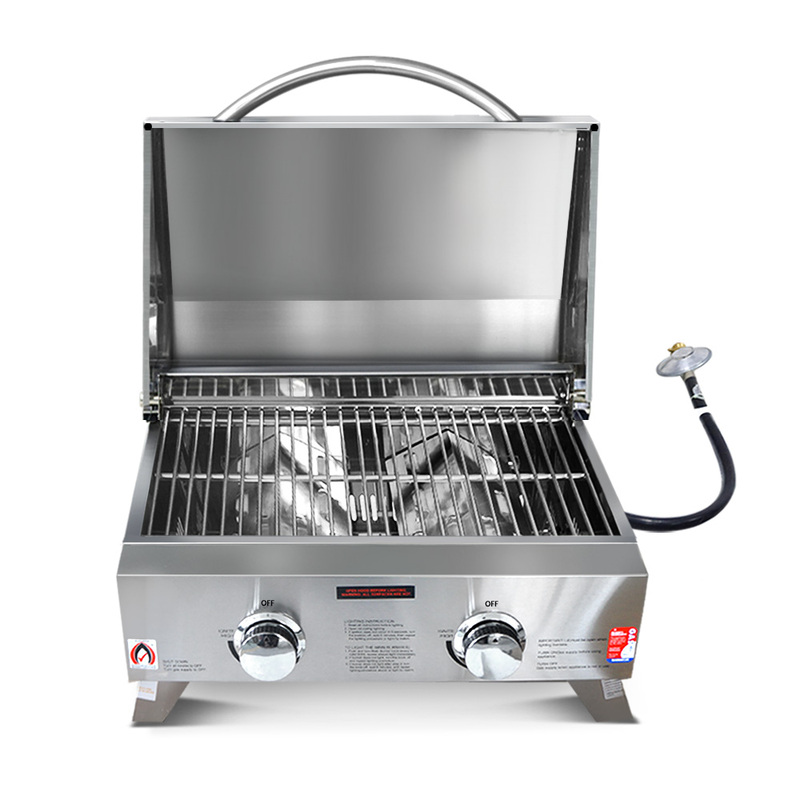 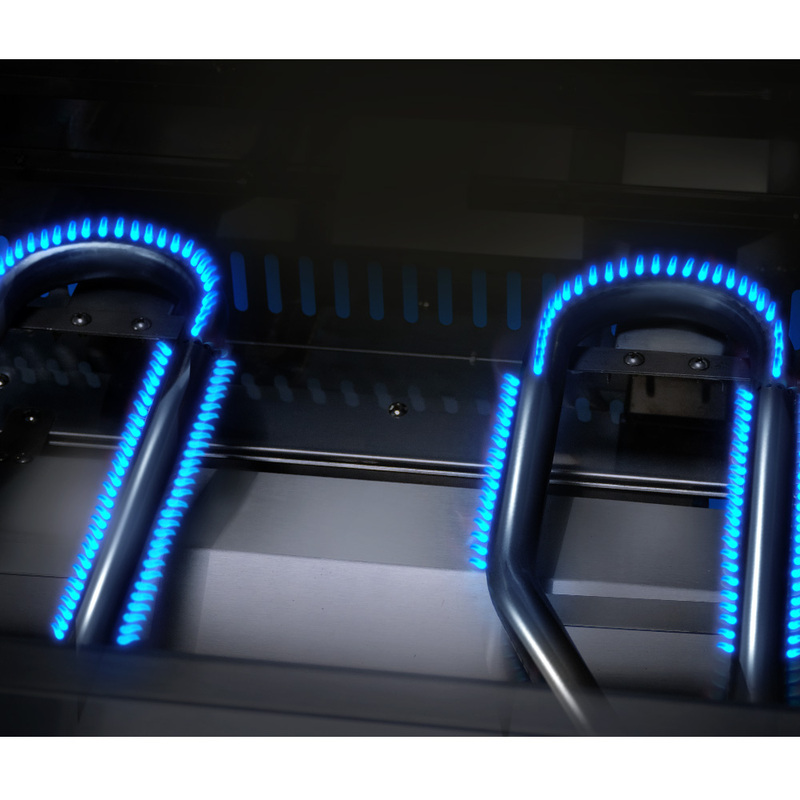 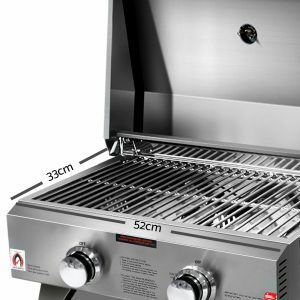 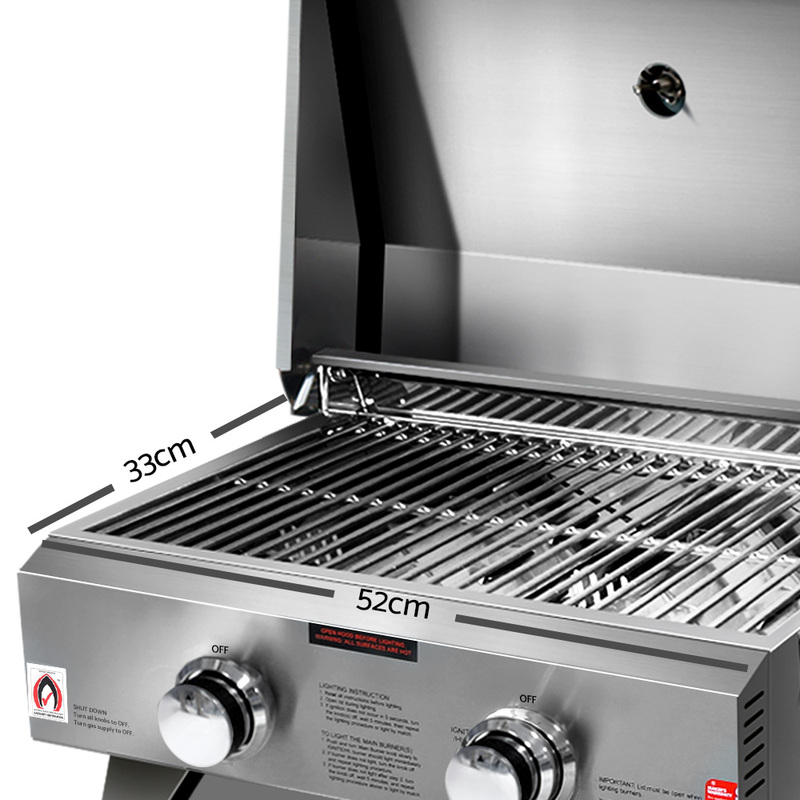 Gas BBQ features two 304 stainless steel 10,000BTU burners and food-grade 430 stainless steel for the body and hood. 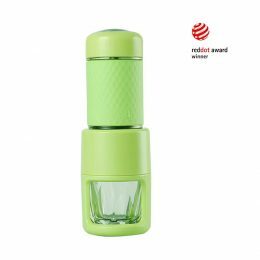 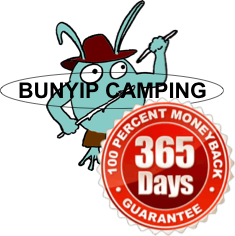 It has a double-layer lid with latch and fastener and large front carry handle. 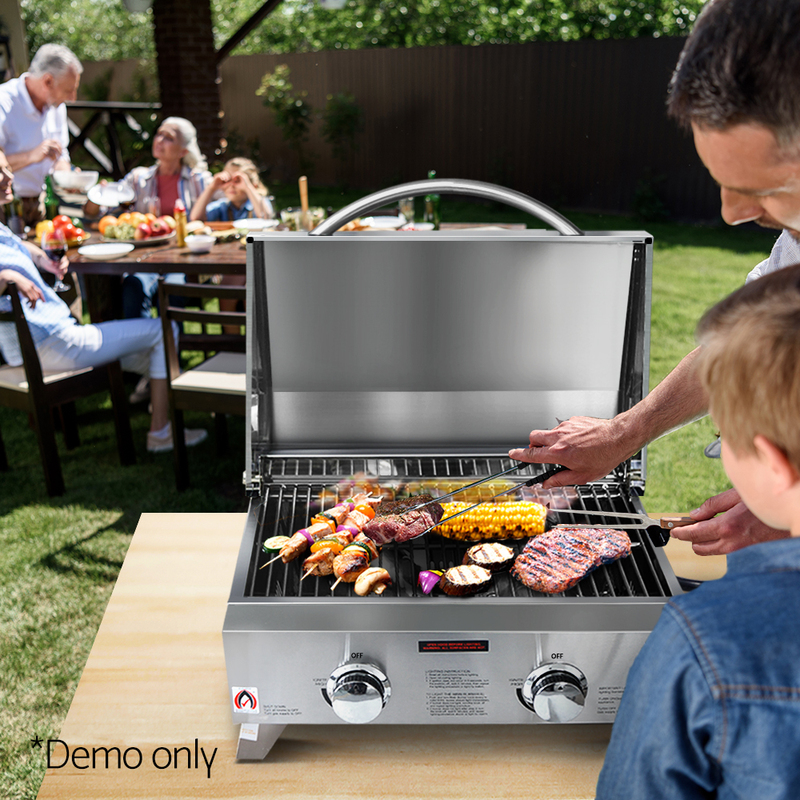 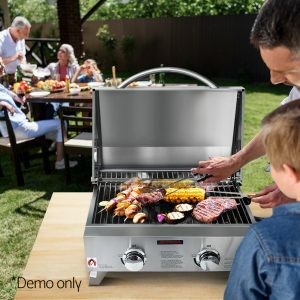 The legs are retractable for easy transport and the BBQ utilises a piezo-equipped ignition control knob with an integrated thermostat. 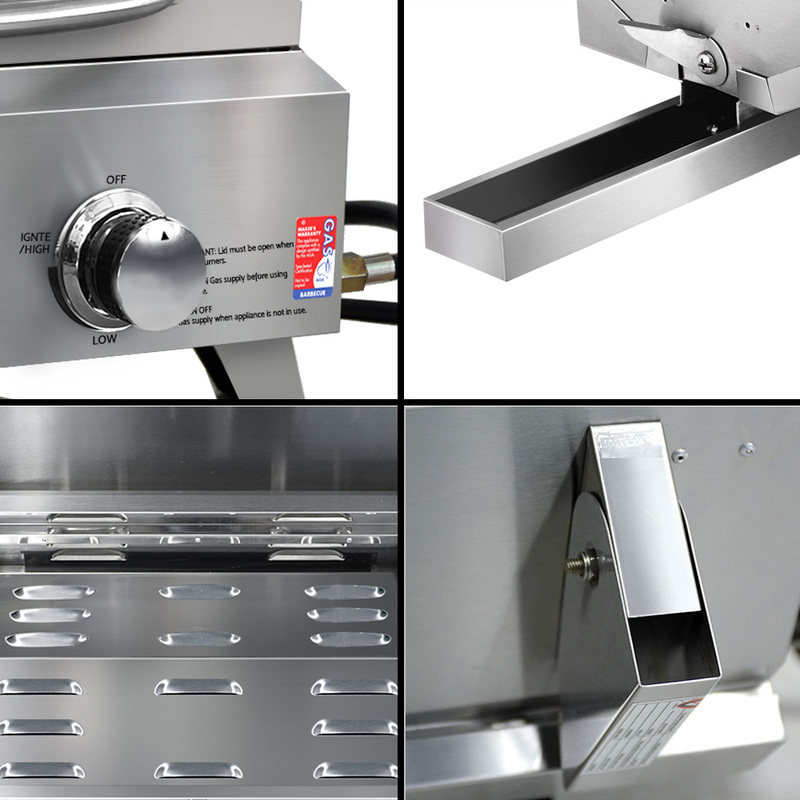 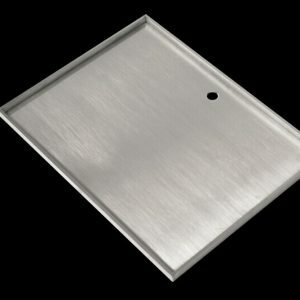 A stainless steel grease collection tray ensures easy cleaning.